I called two of my besties, "You get the OJ and I'll make the cakes..."
First you have to mix up your cinnamon filling cause it has to set. So mix your brown sugar, melted butter, and cinnamon. Put this mixture in a ziplock back and set it aside. Next prepare your pancake batter (I used hearty healthy ~because I love my friends~ Bisquick). Heat up your griddle of pan too. 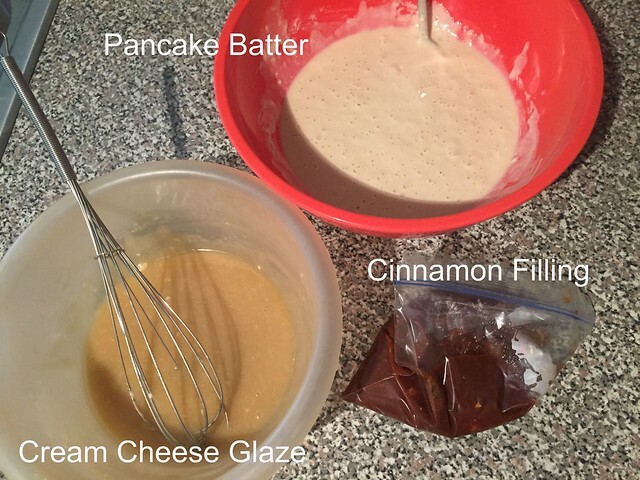 Cream cheese glaze - heat up your cream cheese and butter together, whisk until smooth and then whisk in the powdered sugar and vanilla. Set that aside too. Time to cook!! Scoop some pancake batter onto your skillet or griddle. 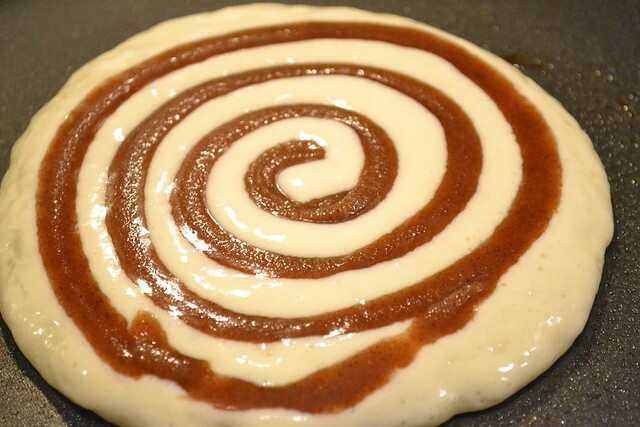 Snip the corner of your cinnamon filling ziplock and squeeze a spiral of the filling onto the top of the pancake. When bubbles begin to appear on the surface, flip carefully with a spatula and cook until lightly browned on the underside. Serve those babies up with some warm cream cheese glaze over them. 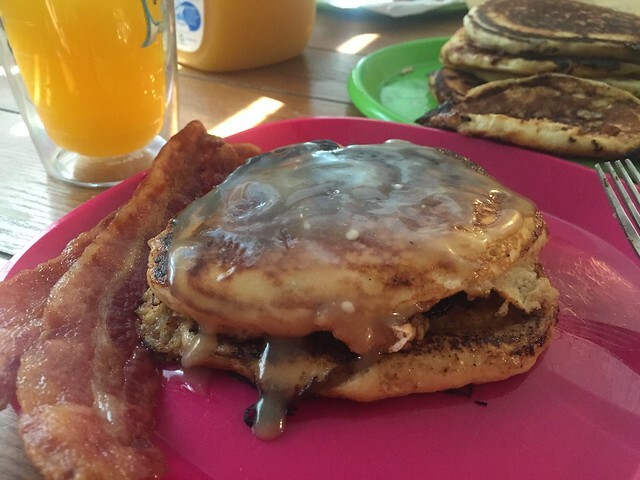 Mmmm, cinnamon roll pancakes!! Your friends will LOVE you forever!! (especially when served with OJ and bacon!!). Accountability: Week 3 Complete, 2 To Go! Spaghetti Squash Pad Thai - my version!